Cross Creek, a community of 267 homes in New Tampa, is beautifully situated among tree-lined streets, stately oak trees, natural conservation areas and serene ponds, but is also close to shops, restaurants and fun for the whole family. You can shop at Wiregrass Mall, enjoy Busch Gardens, or spend a day getting back to nature at Flatwoods Park. Plus, there are several high-quality golf courses, tennis and swimming facilities and educational and cultural opportunities abound just minutes away at the University of South Florida and the New Tampa Regional Library. 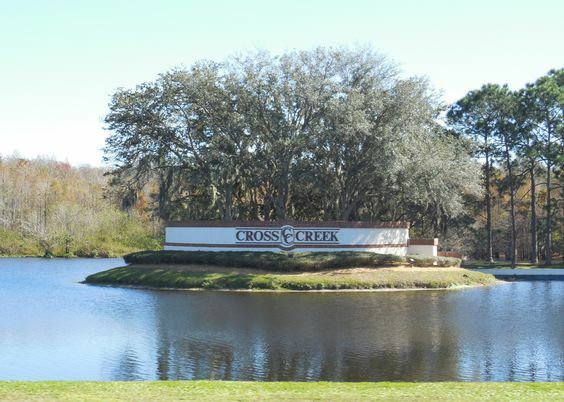 If you want to discover all that Cross Creek has to offer, call us today at 813-431-2840. We are here to help you find a home that perfectly meets your needs in a community you love. We’ve sold over 4800 homes in the Tampa Bay Area, and our experience, commitment, desire to exceed expectations, and best-in-class customer service ensures a successful home buying experience.